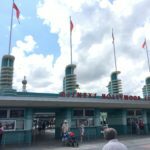 Anyone who’s been paying even the slightest bit of attention to Walt Disney World news in the past few years knows that Disney’s Hollywood Studios is a park in flux. 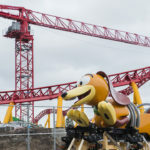 Today, a small but significant part of the park’s evolution debuted as new background music loops began running in different areas of the park. For example, the main entrance loop features big band arrangement of Disney classics — including some more recent favorites like “Do You Want to Build a Snowman?” Incidentally, this loop comes from Shanghai Disneyland where it can be heard along Mickey Avenue. Inside the park, you can hear popular songs from the 30s and 40s as you stroll on Hollywood Boulevard. 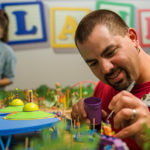 These new music loops and other are now playing, adding a new flavor to the current areas of the park. 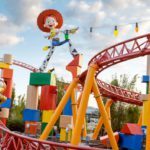 However, Disney’s Hollywood Studios is set to expand twice in the coming months — first with the opening of Toy Story Land later this year and then with, of course, Star Wars: Galaxy’s Edge in 2019.